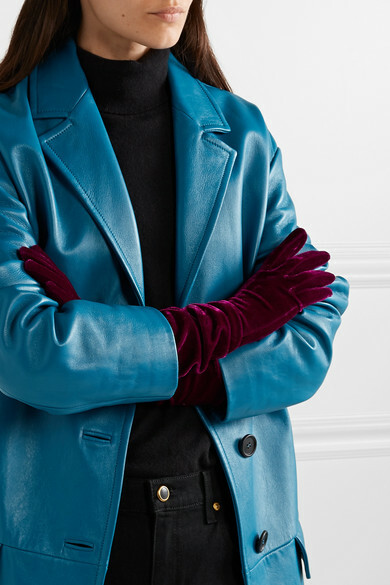 Agnelle's burgundy gloves are such a sophisticated choice for evening, whether you're wearing them under a three-quarter coat or with a floor-sweeping gown. 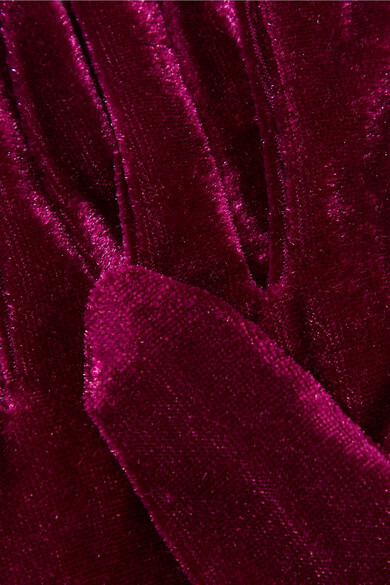 They're made from plush stretch-velvet in a classic opera length that goes just past the elbow. Shown here with: Prada Coat, &Daughter Sweater, Khaite Jeans, Valextra Tote.